I wasn’t quite sure if I should post this. A piece of me hopes that he reads this. But in a way if he does, it makes me vulnerable. I’m not sure where I’m going with this post. Coincidentally, much like my life lately. I’m not sure where things are heading. It’s not just one feeling, it’s a million feelings coming at me like a tidal wave. I’ve been going through the motions lately. I’ve had no choice but to ride this tidal wave and take everything that’s come at me. In may of 2016, I met my best friend, at my UOIT orientation. Instantly we became friends, it was like we had an instant connection. Best friend, that’s not a title I give to everyone. We both had finished Police Foundations at different schools and were starting similar programs here. Neither of us had a lot of friends, but the friendship that we did share was a close one. For awhile we were attached to the hip, we spent every test studying together, spent everyday in class together and every break. Coffee and vent sessions were a daily thing for us. He took the time to get to know me and understand me, he liked me for who I was. Talking to him was the easiest thing in the world, and I knew that he was always there to support me. He was kind to me. I built an attachment to this individual like no other and started to look at him as an over protective brother. That’s one thing that I always liked about him, I’ve never really had that. I’ve never had a close relationship with my brothers and I’ve never had someone protective of me like he was. He knows what I’ve been through. I thought I knew him, I thought he understood me, I trusted him, and I thought he was the one person who wouldn’t hurt me. I let my guard down. I thought I meant more to him, I thought I was worth more as a person. I thought I was more than just a page in his book. But the wave came crashing down. 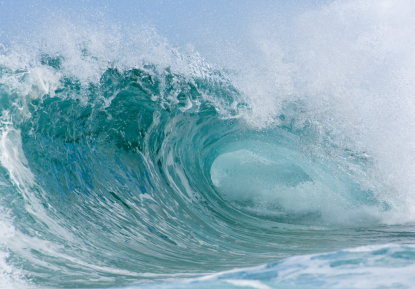 This time it was a tsunami, and I wasn’t ready for it. There was no warning. Quickly, the good turned bad. Gradually, he stopped having time for me. We were toxic for each other. As the friendship was going downhill, so was my mental health. Soon I became suicidal, I still haven’t been able to shake the feeling. In a way, what I’ve been through is emotional abuse. My counsellor described it as gaslighting. To me, it’s all the same. It started with small fights, with each fight they got bigger and bigger. Over the course 8 months I cannot tell you how many times I’ve been told that I’m “psycho”, how many times I’ve been blamed, the amount of times I’ve apologized but have been the one sobbing on my bathroom floor and shaking and screaming, the amount of times I’ve felt worthless. I cannot tell you how many times I’ve had my mistakes held against me or thrown in my face. It takes a toll on a person hearing negative things over and over from someone whose opinions mean everything to you. Eventually you start to believe all the negative things, because if it’s true to them then it must be the truth. It eats you alive every day. On one occasion after we drunkenly made out with each other, I was upset. Somehow, it was wrong for me to be upset and I was the crazy one. Piece by piece, it takes over you, and you start to become this person that they’ve envisioned and created. I started to think maybe I was “psycho”, maybe I was dramatic and crazy and all of these other negative things. Maybe everything bad that happened was my fault. I lost track of the amount of times this person knowingly let their friends bully me, say rude things about me, threaten me, and when I did stand up for myself I was told that I was in the wrong for doing so. But when it came to me not meeting his morals, I was dropped faster than the speed of light. When he dropped me it was so easy for him, he made it look so easy, like I was never his friend. In the end he made it known that I was crazy, that it was my fault, and that I’m a terrible person. Those were pretty much the last words he spoke to me. These words still linger every day, they’re the first thoughts in my head when I start my day. When I look back at the person I thought I knew, I don’t recognize this person at all, he’s a monster. How can someone be so cruel and unfair? Losing him has been one of the hardest things for me. I still breakdown every day, I replay everything that’s happened in my head over and over again. I’ve asked myself why. I’m still trying to figure out where things went wrong and what I can do to fix it. Believe me when I say tried relentlessly to fix things. I would have done anything to make things better. When he blocked one social media account, I made new ones and tried to talk to him. Every time I opened up and tried to fix things was like a slap in the face. A week ago, police got involved. I guess this time, there’s truly no going back. I never thought he’d do this to me. It’s been 2 months since that dreadful December day. I still remember it like it was yesterday. It’s not easy when someone who you once looked up to and thought so highly of drops you like you’re nothing. I truly thought that I meant more to him than that, but that day I realized that I am nothing to him. I am nothing. Those words sting. The good memories that I’m supposed to laugh about now make me cry, there’s a whole playlist of songs that I can’t listen to anymore. We were supposed to make more memories and graduate university together. Instead I’m skipping classes so I don’t have to see him, I’m skipping meals, I’m losing sleep, I’m smoking cigarettes and trying to find ways to kill the pain that he’s caused me. Now he’s just a memory, a stranger who simply knows everything about me. He didn’t break me, he ruined me. Everything that I once was is now shattered pieces that I cut myself on every day trying to put back together. There’s still so many emotions and feelings that I can’t even begin to explain. There’s so many things I wish I could say to him. I want to feel normal again, I don’t want to cry every day, I want to smile again, I want to feel whole and not this emptiness. I’m still trying to figure out why this has happened to me and what to do next, the wound is still fresh. So I guess for now I have to learn to ride the waves. There’s no right way to define what a ‘true friend’ is, everyone has different definitions. 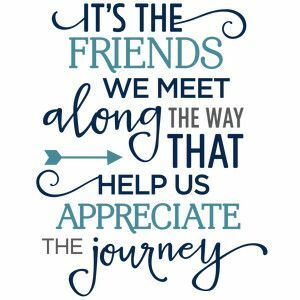 To me a true friend is someone you can trust and who will support you through anything. Friends are supposed to be there through thick and thin. Friends are like snowflakes, each one is unique and can’t be replaced. Every friendship is different. The year 2015 was the year of losing friends for me and finding out who my true friends are. I’ve always had really strong attachments to my friends, and when they leave it hurts. As 2015 started I seemed to be having ups and downs with friends of mine. This eventually lead to a fall out with those friends, with this brought a lot of emotions and feeling depressed again. So I started seeing my counsellor at school again. A friend of mine in my classes was really supportive during this time, but that friend soon left too and got tired of helping me and seeing no change. I struggled with that loss too, I seemed to be losing a lot of friends, which took a toll on me and my mental health. Slowly, school came to an end, and graduation was fast approaching. With graduation coming and my friends leaving, I tried to stay close to a friend who I knew was staying in town. I tried my hardest to hold onto this friend, and constantly asking them to spend time with them. Which in turned pushed them further away. With this person always being busy it was hard to find time to get together, I would see them out with other friends or working. I took them being busy more personal than I should have. Things went downhill fast, it slowly turned into fighting and things being said that we couldn’t take back. This friend got their significant other involved and things got worse fast. Despite this friend asking for space, I tried relentlessly to hold onto this friendship. When holding on didn’t work, eventually my pain turned to anger towards them. I tried everything to get attention from them whether good or bad. Which was seen again as harassment, so when police got involved I had no choice but to let go. Even though I lost a friend of 8 years in the midst of everything because she didn’t like who I was becoming or the situation with my other friend that was going on. I wasn’t going down the messy road of another fallout again. So I let her go to, I pretended to be okay when everything was falling apart. Letting go was one of the best things I’ve done for myself. It allowed me to move on, be happy, find new friends and make time for old friends. Most importantly, it allowed me to find my true friends. So that’s what I did. 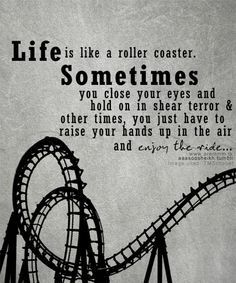 Sometimes it feels like I’m on a roller coaster that doesn’t stop, a series of ups and downs. As soon as things look up there’s always a 5ft drop. The year after high school ended and going into college, I started becoming super close with my friend and her family who lived in my hometown, they were like a second family I guess you could say. Before I started college, even when she was at school, I’d be there with her parents and siblings. Most nights I went to sleep there, and most mornings I woke up there. It was like a second home to me. I spent every waking moment and chance I had with them. My parents during this time seemed rather annoyed that I spent all this time with them and not my family. During this time my depression and suicidal thoughts were on the rise. My “second family” was always there to support me, and even at one point brought me to see a counsellor. Summer 2012 I had a falling out with these friends, this was difficult for me. Going from spending every moment with them to not at all was a big adjustment for me. I tried endlessly to work things out with them, but every time I did I made things worse. That summer, they ended up calling the police on me. I guess you can say when I tried to work things out, I was a little bit persistent with it. I’ve never been one to give up on people or let people walk away, even when they tell me time and time again to leave them alone. With summer coming close to an end and me moving to Peterborough for college, this was a positive for me. I’d have something to do, and would meet new friends. But as the school year started my depression and suicidal thoughts continued to climb. My “second family” eventually came around shortly after school started, on weekends I would go there. Slowly, the good started turning bad again with them. With the end of first semester rolling around I learned that math and science wasn’t for me and dropped out of the pre-health program that I was in. I later applied to the Child and Youth Worker program for the winter semester. Over the Christmas holiday marked my first suicide attempt that brought me to the hospital. I ended up over dosing on Tylenol and my sister brought me to the hospital. I spent a couple days in emerge, and a couple in the intensive care unit. This was a hard time for me over hearing doctors that I might need a new liver if things didn’t improve, and the concern my family had for me was really hard. I was so glad to be alive, it made me realize that I would never want to put my family through losing me. Eventually I was released from the hospital. January 2013, I was back in school and meeting new people again. My parents were constantly on my case post-hospital visit and didn’t allow me to see my “second family” as much, along with that “second family” didn’t want me there as much. I think they were worried that things would go bad again. Slowly but surely, I lost them again. This was difficult but I managed to push through it this time, and even started seeing a counsellor at school. The child and youth worker program wasn’t for me either, but I applied to Police Foundations for the fall of 2013. Fall fast approached and I started Police Foundations at Fleming College. I started making new friends, I got more involved in school, and my grades were well. Things were good, I had a group of friends at school that supported me, I found a program I liked and was happy with where I was at. But the roller coaster I was on went down again. I’ll start with some boring background information on how it all started. My childhood was for the most part normal, I was diagnosed with Rheumatoid Arthritis at a young age which made my childhood a little bit different but not much. I didn’t let my disease define me. My parents fought and eventually got divorced, I was too young to remember this. My sister however has more of a vivid memory of it than I do.With that we moved away from Toronto to Kawartha Lakes. This is where my mom met my step dad. Overall, I had a pretty normal upbringing and would say I have a good relationship with my family, with the exception of my younger brother. My younger brother and I have not had a healthy relationship for as long as I can remember. He’s like the typical bratty teenage brother who thinks he’s always right and has rude come backs for everything. I try to tell myself that he’ll grow out of it. I never had many friends, growing up I was the “outcast”, having 1 or 2 good friends. High school rolled around and with that I met a more stable group of friends. Being a teenager isn’t easy and most of us don’t even know who we are at that point, add on mental health issues and it makes the teenage years even harder. It wasn’t until I was 15 or 16 years old that I realized I was “different”. A lot of my friends during this time were discovering their own mental health and I noticed they were resorting to self-harm. During this time I was facing relationship problems with my on-again-off-again boyfriend of 3 years. This made me depressed and down at times, so I decided to do what my friends were doing and resorted to self-harming in hopes of this helping what I was going through. Self-harming slowly became thoughts of suicide as time progressed, none of which I ever thought I would act upon.